This year is the 40th anniversary of China’s opening up and economic reform. From skyscrapers in tight rows to crowded commercial streets, from internationally well-known brand stores all over the place, to cafes, bars and restaurants with all kinds of flavours, then to bookstores, cinemas, theatres, museums, art galleries, parks with different styles, from subways to other kinds of public transportation linking the whole city, the home and abroad visitors who have been to present-day Shanghai witness modern and international characteristics filling in Shanghai’s urban landscape. Just like New York, London, Paris, Tokyo and Hong Kong, Shanghai has already become a sleepless city. Promoting itself as a global city, Shanghai is facing unprecedented development opportunities as well as a series of new challenges. 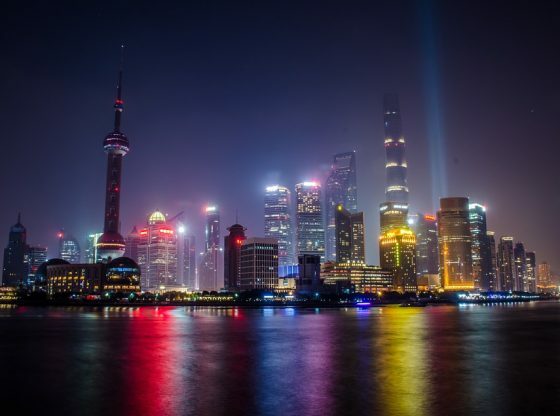 Thus, the Shanghai Municipal Government proposes the “four-brand strategy”, namely the “Shanghai Service”, “Shanghai Production”, “Shanghai Shopping” and “Shanghai Culture”, in order to further promote Shanghai and to speed up the city’s construction in order for it to become a truly global city. As an important window into China, the development of Shanghai is not only important for China, but also for attracting worldwide attention. Over the past 40 years of reform and opening up, Shanghai has increased its international influence as a global city. However, in the global urban construction, how can we avoid the increasing tendency of gentrification in continuously updating and transforming urban space? The faster pace of life and the rising cost of living increase social segregation and class differentiation, inhibit innovative creativity, and eventually hinder the sustainable development of the city. These are the problems and challenges we have to face. The key to solving this problem is to strike a balance between globality and locality in the construction of global cities. For Shanghai, whether perfecting its functional position as an international economic, financial, trade and shipping centre, or constructing an international cultural metropolis, expansion will bring the city fresher globality. On the one hand, globalisation can undoubtedly improve the internationalisation level and international influence of a city. On the other hand, in the course of its expansion, an increasing globality tends to dissolve a city’s locality. Locality is the cultural spirit, social memory and lifestyle shared by local people. The locality is embodied in the daily life of a place: in architecture, streets, people’s living customs, aesthetic taste and other aspects. Locality is a cultural feature that distinguishes one place from another. Nowadays, culture is becoming an important force to promote economic and social development. Therefore, global city construction must clearly define its own characteristics and cultural connotations. Shanghai puts forward the construction of its own excellent “global city” vision, expecting that – by building international economic, financial, trade and shipping facilities, technology innovation centres and international cultural metropolis constructions – it will become the “innovation city”, “ecological city” and “cultural city”. To avoid losing locality in globalisation, we must simultaneously highlight the features of Shanghai’s culture and enable art and beauty through localised cultural construction. Culture is the soul and foundation of urban construction. It is the core factor to enhance urban attraction, competitiveness, influence and soft power. The culture and innovation industry is an important pillar of industry for national economic and social development, and also an important driving force for Shanghai’s innovation-driven development and economic transformation. In order to implement the spirit of the 19th CPC National Congress and stick to the cultural construction to build an international cultural metropolis, in December last year, the Shanghai Municipal Government issued 50 specific guidelines for further development of the city’s cultural industries. This policy encourages markets to play a positive role in the allocation of cultural resources, and promotes key areas such as film and television, performing arts, animation games, Internet culture and creative design. 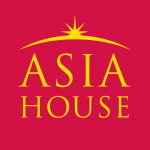 The purpose of such encouragement is to realise the development of publishing, art, cultural equipment manufacturing, and speed up the extended and integrated development of cultural tourism, culture and sports, as well as forming a group of prominent culture and innovation enterprises with core competitiveness. The policy also emphasises the promotion of a series of cultural and creative projects with positive influences on neighbourhood areas. These aims will include building a batch of cultural and creative parks with updated mechanisms, gathering a group of leading talents with innovative ideas, building a competitive and orderly modern cultural market system with all forms of producing elements, strengthening the industrial foundation of international cultural metropolis and making the culture and innovation industry a new growth point of the industrial system in Shanghai. The policy depicts the vision of the culture and innovation industry’s future development in the next five years (up to 2023) when the industrial output value in the city’s GDP will reach 15 percent, and then by 2030, 18 percent. In 2035, Shanghai will finally expect to become an industrial center for culture and innovation with international influence. In April 2018, the Shanghai municipal government issued an initiative to promote the city’s culture brands and talent in a comprehensive three-year action plan. This new policy for the development of the Shanghai urban culture puts forward the idea of firmly grasping the historical position and characteristics of the new era, centring around the “Shanghai Culture” brand to build an international cultural metropolis. In particular, the construction of well-known local product brands with outstanding Shanghai characteristics, building new advantages for Shanghai’s cultural development and improving urban cultural soft power. This policy is not only a new expression of Shanghai urban culture development, but also an action plan to launch specific projects. There are more than 150 projects. After three years of implementation, these projects will greatly promote the construction of an international cultural metropolis and play a positive role in the new layout and new features of future Shanghai. At present, world economic growth is facing a series of new uncertainties and risks due to the rise of isolationism, trade protectionism, populism and anti-globalisation trends. China firmly adheres to the basic state policy of reform and opening up. On several important diplomatic occasions, general secretary Xi Jinping solemnly promised that China would further open up to the outside world. As an important window into China, the development of Shanghai is not only important for China, but also for attracting worldwide attention. As researchers of a cultural think tank, we have the responsibility and obligation to advise on the healthy development of Shanghai’s urban culture. At the same time, in the background of opening up, we would like to introduce new trends and features of the development of Shanghai culture to scholars and experts from institutions around the world who are also concerned about the development of Shanghai. In doing so, we may strengthen cultural exchanges and seek cooperating chances between China and other countries. In order to grasp the opportunity of cooperation and be actively involved in the construction of Shanghai as a future international and cultural metropolis, the key is to have a deep understanding of its system, management, and marketing layout as well as policy characteristics of Shanghai’s unique culture. Rong Yueming is editor of Cultural Industries in Shanghai (2018) and Dean of Institute of Literature, Shanghai Academy of Social Sciences. This article is extracted from Professor Rong Yueming’s keynote speech at the Cultural Industries in Shanghai: UK-China Dialogue on Future Academic and Industrial Collaboration in the Creative Industries Symposium + Book Launch event at the Natural History Museum, June 29, 2018, and edited and submitted by Hiu Man Chan, series editor of Intellect China Library, on behalf of the speaker. Image Credit: CC JOESPH/ Pixabay.